Owners of bolt action rifles are amongst the most likely to seek to do whatever it takes to extract the utmost in accuracy from their rifle system. Quite likely one of the main reasons, usually the main reason for choosing a bolt action rifle, is because you want a rifle that will place its first shot exactly where you intended it to go, and preferably every shot after that likewise. Benchrest shooters, long range target shooters, hunters who are looking for the ultimate in precision all tend to favor the bolt action rifle above all and with good reason. Captured in this picture are twelve reasons a rifle owner needs a good torque screwdriver. There are eight rifle-scope ring screws visible and another two on the left side of the rifle that are not visible. There are also two action screws. If you’ve spent any decent amount of time working on cars, motorcycles or trucks you will know that there are some things that have to be tightened to a manufacturer’s specified tension. Cylinder head bolts/nuts, big end bearing bolts/nuts etc. all of them have to be done up to a specified torque setting and cylinder head bolts/nuts have to be tightened in the correct sequence in order to ensure everything will work and last and not crack and fail. 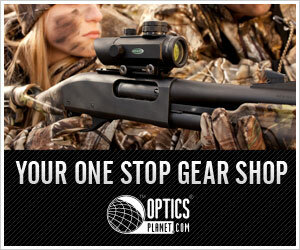 A rifle, especially a bolt action accuracy rifle, is no different. If you are in the business of attaining the best accuracy possible then one of the strategies you need to use is to ensure you use exactly the correct tension on the action screws and on your rifle-scope mounts. 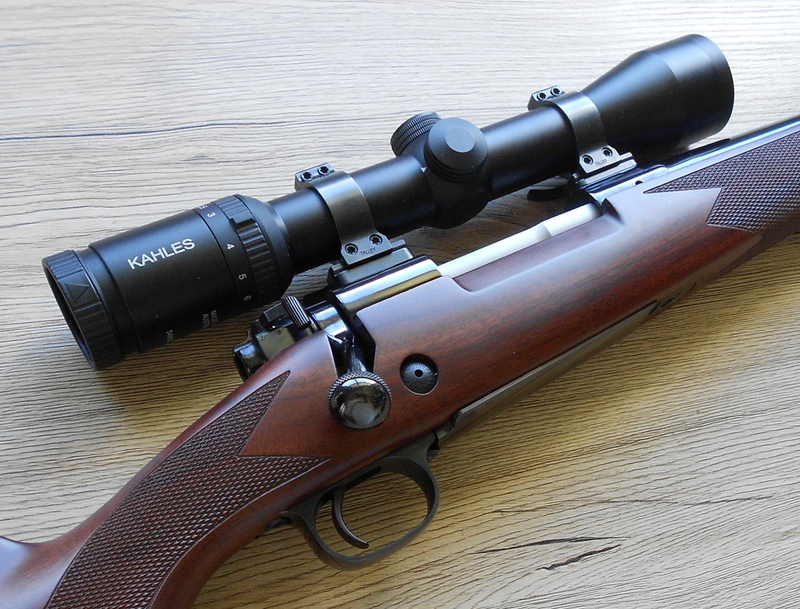 Whether you are mounting a rifle-scope or re-fitting your barreled action back into its stock you need a torque screwdriver and the correct torque settings to ensure everything is tightened to the correct specification. Its one of the most basic things you can do to extract the best and most consistent accuracy from your rifle. For getting correct torque settings on a rifle a decent and accurate torque screwdriver is needed. Some torque screwdrivers only measure accurately within 5 inch-pound increments. The Capri torque screwdriver measures in 1 inch-pound increments. For rifle action screws and telescopic sight mounts (and on some jobs on a motorcycle) manufacturers usually specify torque settings in increments of 5 inch-pounds. However, I think it is preferable to have a torque screwdriver that allows you to use a more fine degree of accuracy, so I use a torque screwdriver graduated in 1 inch-pound increments and the one I have is made by Capri Tools of Taiwan. Its affordable, its certified, and its convenient to use. The Capri Tools torque screwdriver comes with a certification certificate that provides the owner with a realistic statement of what accuracy the instrument is capable of. Bolt action rifle screws are one application in which the use of a good torque screwdriver will provide worthwhile benefits, but it is when mounting a rifle-scope that I believe the use of a torque screwdriver is mission critical. This is less true of rifle-scope mounts that use a simple split ring especially if they’ve been lapped in but for many if not most of the European rifle-scope mounts that use an over center split ring such as the Ernst Apel Werke (EAW) mounts the use of a torque screwdriver is essential if you want to avoid damage to the rifle-scope tube. It is common for the top quality European mounts such as the Ernst Apel to use an over center split ring. This allows more force to be applied to the rifle-scope tube and if tightened too much will cause the rifle-scope tube to be deformed. 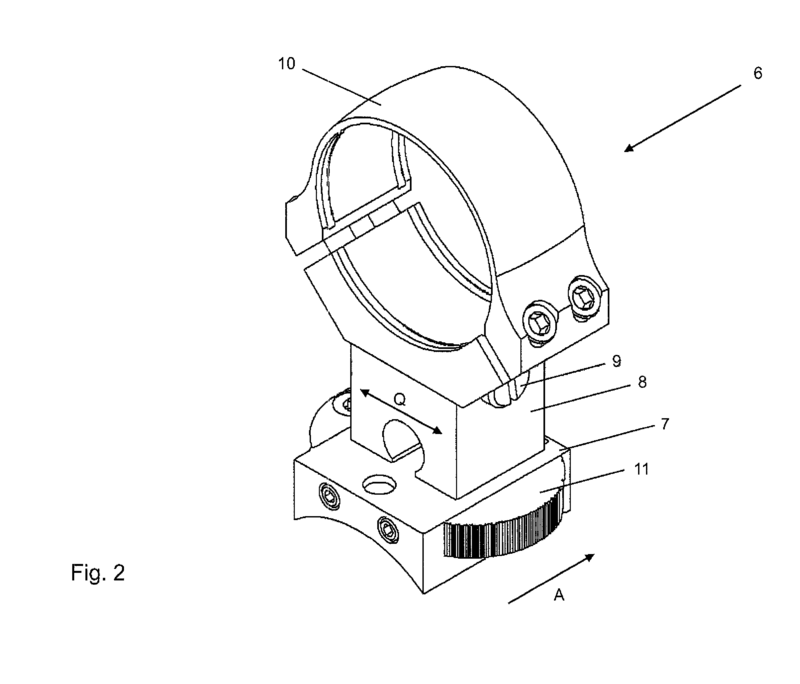 (US Patent picture). 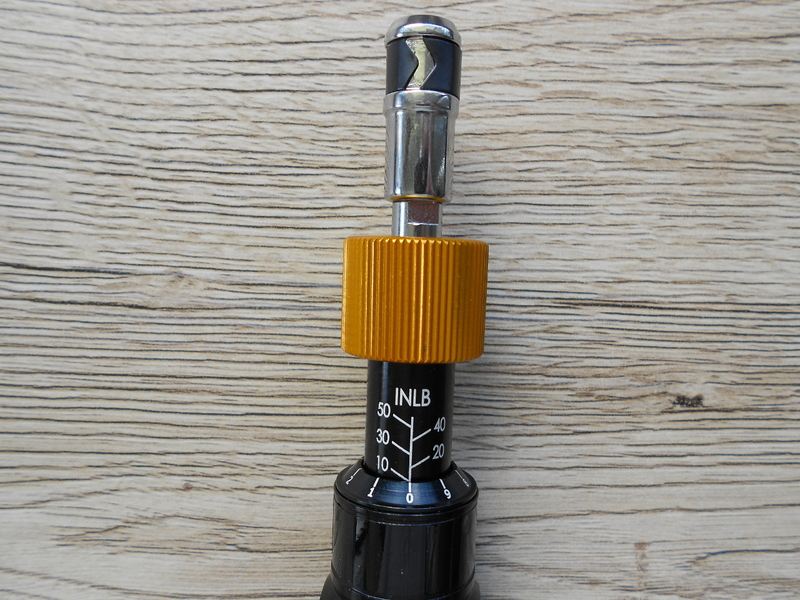 If you are a rifle accuracy afficionado whether it be for benchrest competition, target shooting competition or hunting or (like me) all three then a decent torque screwdriver is one of those “must have” items. 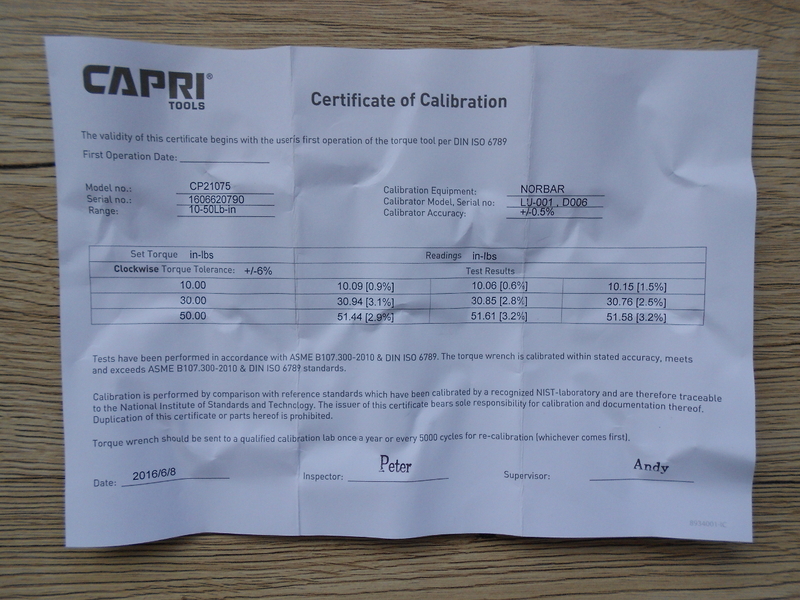 The Capri Tools unit is one I particularly like. The kit comes complete with the range of adapter bits you will need and it is easy to use, and comes conveniently packaged in a plastic storage box. 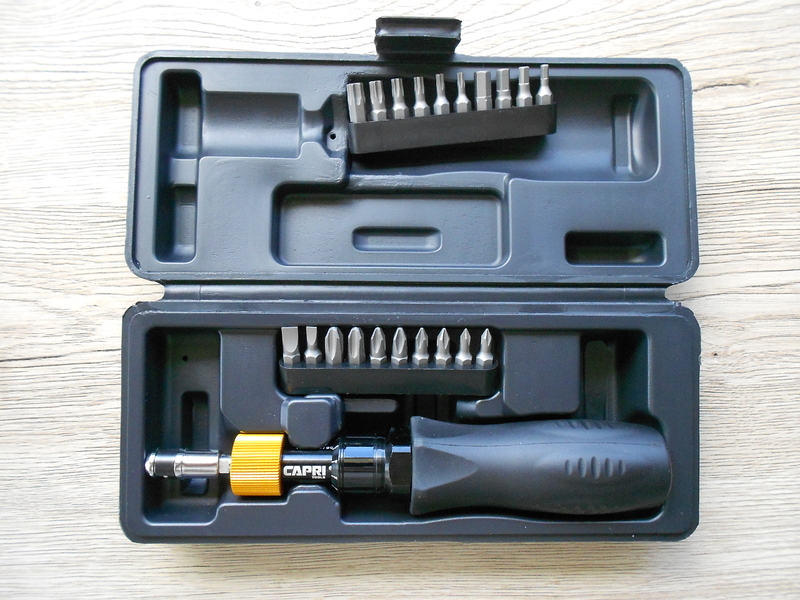 The Capri Tools torque screwdriver is graduated from 10-50 inch-pounds and comes in this convenient storage case complete with most if not all the adapters you will need. 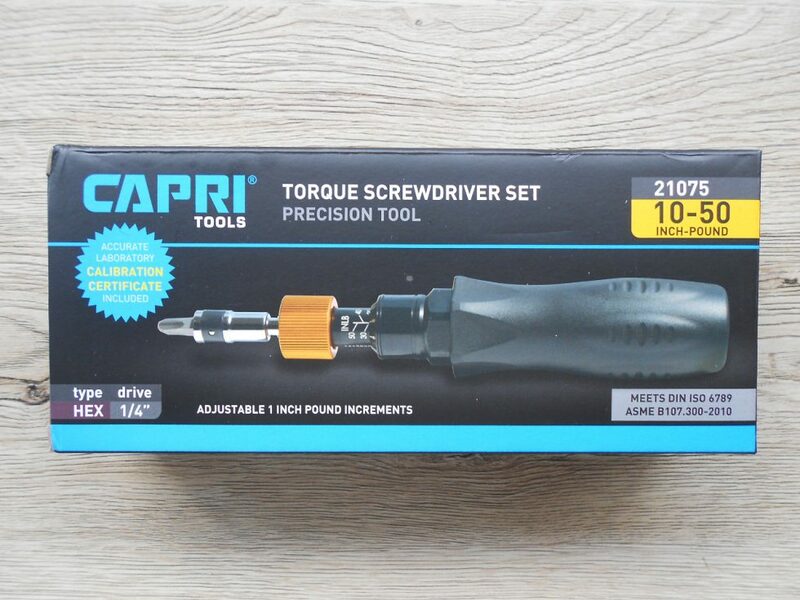 You can find the Capri Tools torque screwdriver kit featured in this post on Amazon if you click here. This is a tool I have personally used and have found to be excellent. Maintenance is minimal, the main thing to remember is to set the torque screwdriver back to its lowest setting (i.e. 10 inch-pounds) before storing.